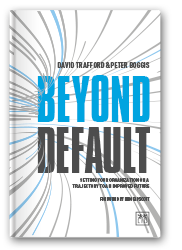 David Trafford and Peter Boggis argue that if organisations are serious about becoming ‘more digital’, they need to give focus and attention to developing ‘being digital’ as an organisational capability. They describe the seven conditions that need to be in place to develop and sustain this capability. All organisations are digital to some degree. The question is: how digital do they need to become if they are to compete in an increasingly digital world? From the early days of computing – or, as it was then called, data processing – all organisations, whether they are commercial enterprises or government agencies, have become increasingly digitally-enabled. Whether it involves automating processes, supporting decision-making or enabling customer self-service, information technology has fundamentally changed the way all organisations operate. But in many respects this digital transformation has only just begun. Without doubt, advances in digital technology will continue to define the trajectory of all organisations; those that understand the digital possibilities will be better able to shape their future, while those that do not, will find that their future is determined for them by others. In many respects being digital is simply the latest phase of a journey that started when organisations first introduced mainframe computers over 50 years ago. While today’s digital technologies like wi-fi, smart phones, tablets, big data and cloud computing are much more advanced, they continue to challenge our thinking on how organisations could and should operate. Individually and collectively, they enable us to do things that were simply not possible – or economically viable – a few short years ago. If we look back over the journey so far, we can see that in the 1980s we talked about the ‘competitive advantage of IT’; in the 1990s it was ‘e-business’; in the 2000s ‘digital business strategy’; and today ‘digital transformation’. While each phase of this journey was shaped by advances in digital technology, their application was driven by the change in context that the technology created. This change in context forced us to see the world differently, which in turn drove new ways of thinking. The key to exploiting new digital technologies is to really understand what they offer and to have the capabilities in place to capitalise on their potential value. In many respects, the challenge is less about digital technology and more about developing the capabilities needed to embrace them in a timely manner. Being digital is an ‘organisational capability’ that needs to span the whole organisation, not just the IT function. Organisational capabilities differ from individual competencies and are formed from a combination of shared mental models and frameworks; processes and practices; common language, mindset and beliefs; shared experiences and individual skills. Significantly, as they become embedded in the organisation they are not lost when individuals leave. Examples of organisational capabilities include the ability to innovate, integrate acquisitions, deliver compelling customer experiences, manage external partners, collaborate across organisational boundaries, and of course, being digital. In a previous Formicio article we discuss how new organisational capabilities can enable change by pulling the present to a target future, and equally importantly how they inhibit change by anchoring an organisation to its current trajectory. In many respects, organisational capabilities are like muscles – the more they are used, the stronger they become. And the stronger they get, the greater they shape organisational culture. In effect they drive organisational habits, where people collectively do things in a particular way without consciously knowing how or why. As with all habits they can become invisible to those that practise them – which makes it a particular challenge when an organisation aims to develop new ones and ‘retire’ those no longer needed. If ‘being digital’ is an organisational capability, what conditions need to be in place for this capability to be developed? Does it involve more than launching a ‘big data’ project or implementing an omni-channel strategy? Does it involve more than moving things to the cloud? Does it involve more than rebranding existing IT projects as digital projects or driving the number of ‘likes’ on the company’s Facebook page? In our view, yes. Being digital is about embedding digital thinking into the DNA of the organisation and developing the organisational muscles needed to embrace digital possibilities. In short ‘being digital’ requires the following conditions to be in place. Knowing the digital appetite of your target customers. Having a clear digital value proposition. Having access to digital capabilities. Having an agile digital platform. Not allowing internal structures to act as constraints. Each of these conditions is described below. The appetite of customers to do things digitally – particularly via mobile devices – has grown significantly in recent years. And there is every indication that this trend will continue. But not all users have the same appetite. And not all users are willing to do everything digitally – yet. For example, most people are comfortable purchasing books and DVDs over the internet or making ‘click and collect’ purchases from retailers like John Lewis and Next. Some also do all their banking online while others have yet to take this step. Furthermore, many remain reluctant for their medical records to be stored and accessed on sites like Microsoft’s Health Vault. We all have different digital appetites – or preferences – which need to be understood. Understanding the digital appetite of their customers was critical to Burberry’s recent success. In fact the luxury goods supplier made a strategic choice to target millennial customers in emerging economies – where the average high-net-worth customer is typically 15 years younger than in traditional markets. Today more people see Burberry digitally than through any other medium, and 60 per cent of people shop online and pick up in store. Being digital is more than automating processes or creating an online presence; it’s about creating new sources of value. In GE’s case – see below – it’s about surrounding its traditional products with value-added data analytics and digitally-enhanced experiences. Hailo uses digital technology to provide taxi drivers with a better view of available jobs, how to get these jobs and how to track their performance. Customers can call a taxi via a smartphone app and their confirmation includes the registration number of their taxi along with the name, photo and mobile number of the driver. This new business model – developed by three taxi drivers and three internet entrepreneurs – has raised more than $100 million investment and operates in a number of major cities across the globe, including London, Barcelona Dublin, Singapore and Tokyo. Hailo – and Uber, its San Francisco-based equivalent – recognised the change in context that today’s digital technology brings and came up with a different digitally-enabled value proposition. In 2011, Jeff Immelt, the CEO of GE, declared that the company needed to become a software and data analytics company – where it would surround its traditional products with value-added data analytics and digitally-enhanced experiences. It did this by building an industrial-strength Internet platform that enables its customers – airlines, railway operators, hospitals and utilities – to manage and drive up the performance of GE-based machines. In the UK it has worked with E.ON to improve the output of each wind turbine by at least 4 per cent using its ‘PowerUp’ application. GE’s commitment is significant and impressive. It has invested $1bn to build a software Centre of Excellence in San Ramon, California, hired 1000 software engineers and data scientists, and is now realising $1bn of new revenue per annum from this investment. Significantly the Centre was not set up as a P&L business unit, but rather made part of GE Global Research. Funding was ring-fenced and separate; revenue recognition went to the businesses that benefited from the digital solutions. While new digital technologies tend to come out of the laboratories of technology vendors and universities, their application is often pioneered by small entrepreneurial start-ups that saw an opportunity and ran with it. Traditionally, the place to look for these types of organisation has been Silicon Valley in California, but increasingly other centres, or hubs, of capability have emerged in recent years. One such example is to the north-east of London’s financial district in an area encompassing Shoreditch, Hoxton and particularly Old Street. Collectively known as ‘Silicon Roundabout’ it has become a major hub comprising hundreds of high-tech businesses with a digital edge. The people who work in these types of organisation tend to be innovative in everything that they do and they are not constrained by the IT governance processes that exist in most large corporations and government agencies. Importantly, they have an important role to play in developing Edge applications that communicate with Core systems through APIs (see condition 4 below). Being digital requires building partnerships with these types of organisation to gain access to these kinds of skills and capabilities. Many organisations have a significant technology base that has been built up over decades, much of which is based upon dated legacy technology. Not only are these systems and their supporting infrastructure costly to maintain, but their architecture makes them difficult to change. This is particularly the case in banking where the underlying applications architecture was based upon fundamentally different business models. Equally, retailers need more than sophisti­cated customer-facing mobile apps and websites to be successful; they need back-end systems that are capable of supporting the new functionality. In most cases, the IT platforms that run today’s organisations are not architected in a way that supports the ‘plug and play’ world that enables agility. For many, the problem is so great that they will never be truly digital until they have replatformed their technology to one based upon modern architectural principles. Agile digital platforms build upon legacy technology applications by adopting an architectural principle that distinguishes between ‘core’ and ‘edge’. Core applications tend to perform back-office processing, are more stable and critical to the day-to-day running of the business, while edge applications are usually those closest to the customer and support innovation. Edge applications are written using agile software development techniques and communicate with the core via SOA (Service Oriented Architecture)-based application middleware. Innovating at the Edge and integrating with the Core leads to a rejuvenated Core. An illustration of how the UK Government aims to build a digital platform as the foundation for its Governmental Digital Service is given below. 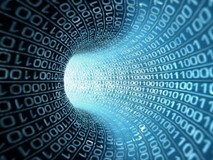 In a recent report the UK Government set out its targets for 90% digital take-up by 2020. The aim is to move beyond just providing online services to providing a series of cross-departmental digital platforms covering services such as payments, messaging and appointments bookings, to behind-the-scenes platforms to keep information secure, provide postcode lookups and location data. Every new digital service will offer an application programming interface (API) so private sector providers can integrate government services into their own offerings. An example is that car insurance firms could allow motorists to pay for car tax when they buy their insurance online. Organisations, particularly large ones, have to be structured in some way, whether it is by brand, geography or function. 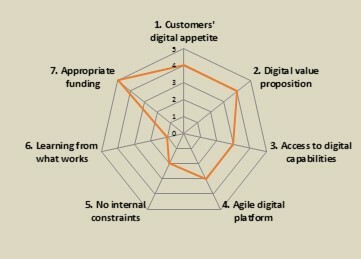 The challenge is not allowing these structures to get in the way of delivering your chosen digital value proposition. For example, it was clear to Burberry that they needed to present one persona whether a customer visited their website or one of their stores. The customer experience needed to be consistent and the internal order fulfilment processes needed to be seamless. They certainly didn’t want the online and retail channels competing for the same revenue. Equally, GE and Nike – see inserts – didn’t want their different divisions duplicating effort and wasting investment on individual digital agendas. Their approach was to create a separate centre of digital excellence that provided expertise and solutions to all business divisions. In 2010, Nike created Nike Digital Sport, a digital business unit providing skilled resources, dedicated budget and co-ordination across the enterprise. Although digital transformation was proceeding successfully in individual silos, executives realised that the firm was missing the synergies between them and also wanted to create a unified customer experience through synchronised operations. Teams of marketers, designers and IT people work together to think holistically and develop new digital capabilities. These ‘connected products’ developed under the Nike+ umbrella leverage vast amounts of very accurate customer data – a key strategic asset for marketing and product development in the new and highly competitive digital world. “Connecting today with customers is a dialogue” says Nike’s CEO Mark Parker. Today’s digital propositions give more power to the users, whether it’s someone doing their banking online or ordering a taxi via the Hailo app, we all have the power to decide whether a digital application will be successful or not. The problem is that we can’t always predict how users will respond until it’s used. The story goes that when Mark Zuckerberg and his college friends developed Facebook (initially called Facemash) in 2004 their intent was to create a site where users could ‘rate’ the attractiveness of fellow female students. The site was a success, but did they then have in mind the Facebook we know of today? Unlikely. As we can’t predict human behaviour we need to learn from what works and adapt accordingly. But it’s not only in what users like and not like that we need to learn from and adapt to. It’s equally true in the way digital applications are developed. For example, from the early days of programming we’ve tried to control the software development process by enforcing structured approaches that force the users – typically business colleagues – to define their requirements before coding starts. The problem with this approach is that users don’t know what they want until they see it. Agile software development approaches that deliver functionality through ‘sprints’ go a long way to overcoming this problem, but are often difficult to implement in legacy application landscapes. Ironically, one IT unit of a finance company wanted to introduce an agile approach to developing a new application – but the business insisted on defining all the requirements first, even though it had complained about having to do this for years! As more digital opportunities emerge, it’s important to have explicit criteria for deciding where to place your digital bets. It’s also important to evaluate them in the context of generating future value as opposed to reducing current cost. All too often digital initiatives are killed at the outset through the need to prepare a traditional IT business case. We all know that traditional business cases are based upon the cost-substitution model introduced in the early days of computer automation, and therefore are not relevant to today’s digital age. Justifying an initiative is important as is the need to track the benefits it delivers, but it needs to be done within the digital context. One option is to manage digital initiatives as a portfolio and manage the portfolio as you would a private-equity fund. Such a portfolio would comprise multiple initiatives and be managed in a way that would kill-off those that don’t gain momentum and protect those with genuinely disruptive potential. Being digital starts with deciding the size of the portfolio – in investment terms – and then deciding what digital initiatives are managed within it. The seven conditions discussed above can be assessed in terms of the extent to which they are individually and collectively in place. Action can then be taken to increase those that are weak and ‘protect’ those that are in place. An example of how the results of such an assessment could be presented is shown below. Don’t think about ‘being digital’ as selecting one or more IT projects that you have to do to remain competitive. Think about it as a ‘state of being’, an attitude that permeates the organisation in a way that continually challenges established thinking and drives innovation. Ultimately, the choice is one of being reactive or proactive to the continuous flow of digital technologies and the opportunities they bring. Establishing the seven conditions that build ‘being digital’ as an organisational capability is simply a strategy for being proactive. All organisations are digital to some degree, the key question is how digital do they need to be in order to succeed. Being digital is new and not new. Look on it as a journey where the latest technologies simply represent the latest phase of this journey. Being more digital involves more than launching a ‘big data’ project, being present on social media or thinking ‘the Internet of things’ is the answer. It’s about developing an organisational capability. Building the ‘being digital’ organisational capability requires seven conditions to be in place. These seven conditions can and should be periodically assessed to determine the degree to which they are in place.